Attractive people are not always photogenic. Part of their attractiveness may be due to the way they talk, they move, they carry themselves. It’s called charisma. Unfortunately, still photography fails to capture charisma, not only of people but also of watches. Some timepieces cannot be photographed to reflect their true beauty. Photos will never do them justice. 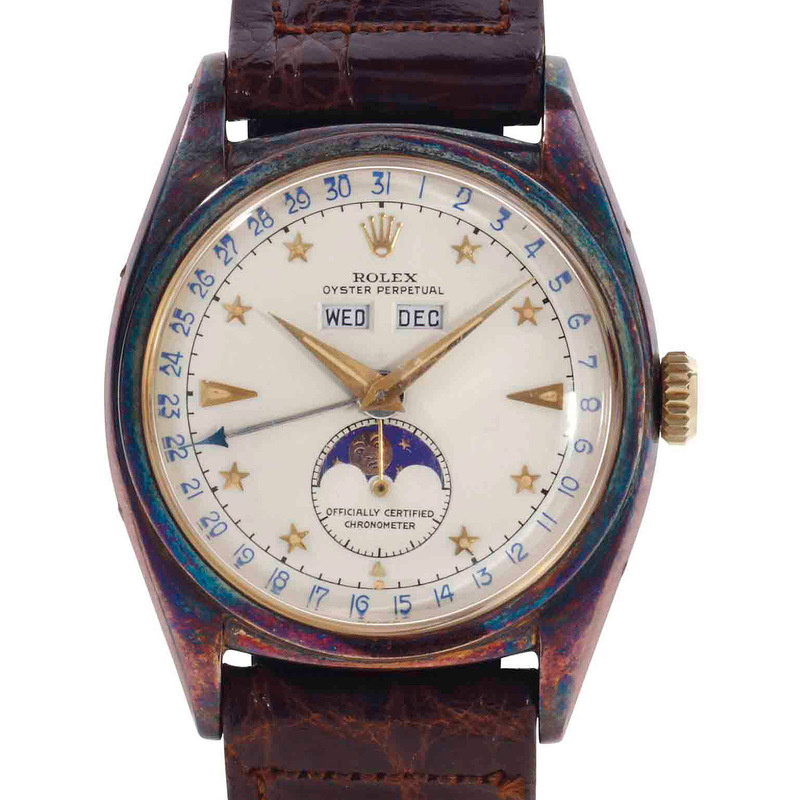 The Rolex 6062 “Dark Star” with sought-after “Stelline” (stars) dial is such a timepiece. To grasp their full beauty, watches of this caliber need to be experienced firsthand in real life. Two weekends ago, I travelled to Hong Kong to attent the fall watch auctions at Bonhams, Christie’s and Phillips. 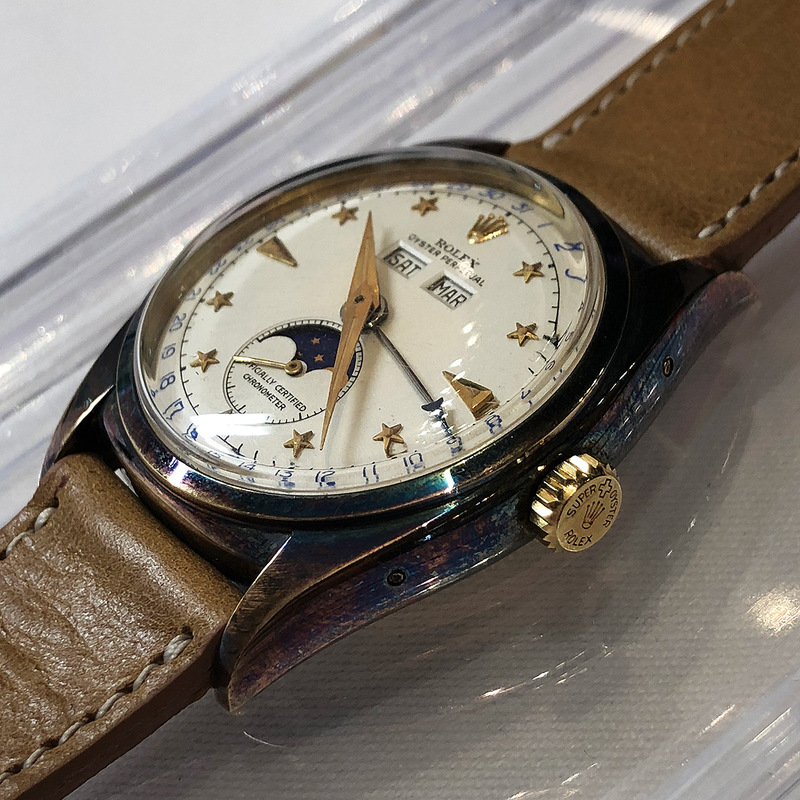 Mr. John Reardon, International Head of Watches at Christie’s, had announced on his Instagram account the “Dark Star” would be in Hong Kong as well. I contacted him right away and they arranged the preview for me. However, most has already been said about the “Dark Star”. Mr. Edmond Saran from Le Monde Edmond has written an amazing article about this watch. 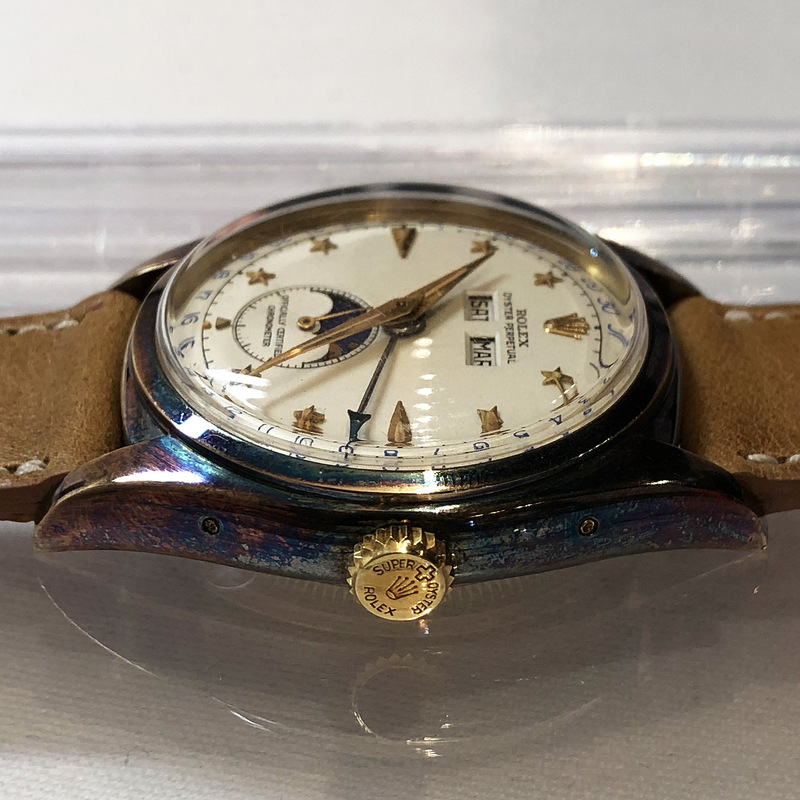 There is not much I can contribute, except for celebrating this extraordinary timepiece further with pictures I personally took in Hong Kong and some speculation regarding the missing patina on the crown. On pictures provided by Christie’s the case appears to be matte. In reality, the case is super shiny, which in my opinion adds incredibly to the beauty of this timepice. 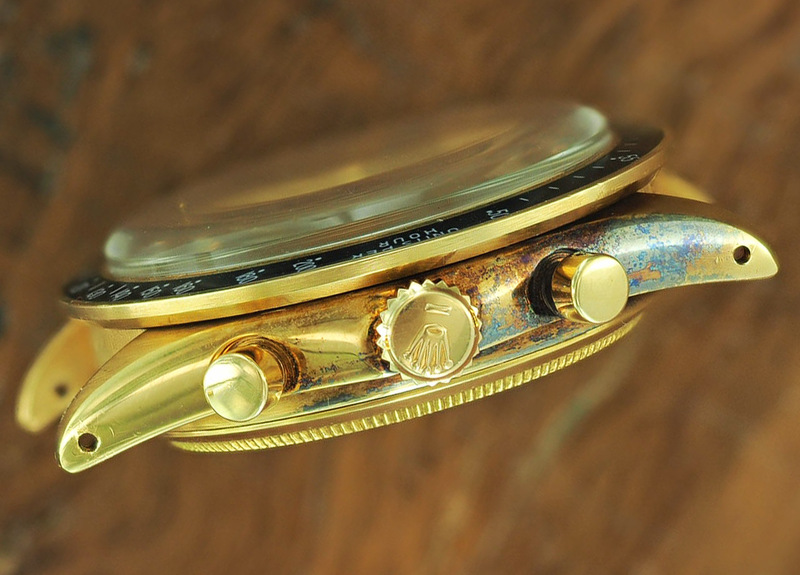 This and the full spectrum of colours visible within the patina makes this watch super desiderable. Rolex Ref. 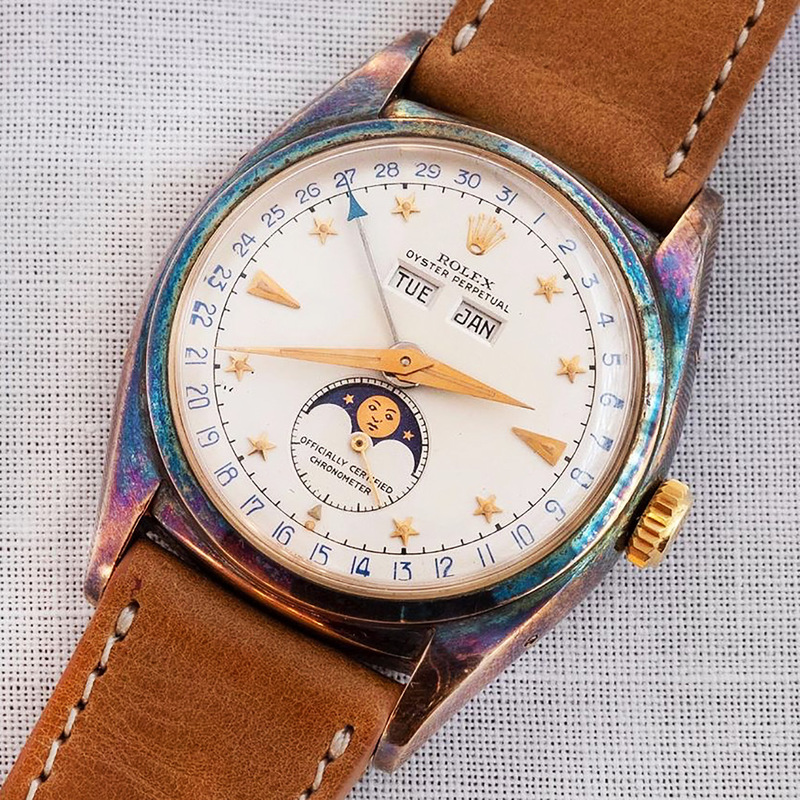 6062, which features a triple calendar (day, date, month) with moonphase in a 36mm Oyster case, is considered by many to be the top of the christmas tree of vintage Rolex collecting. 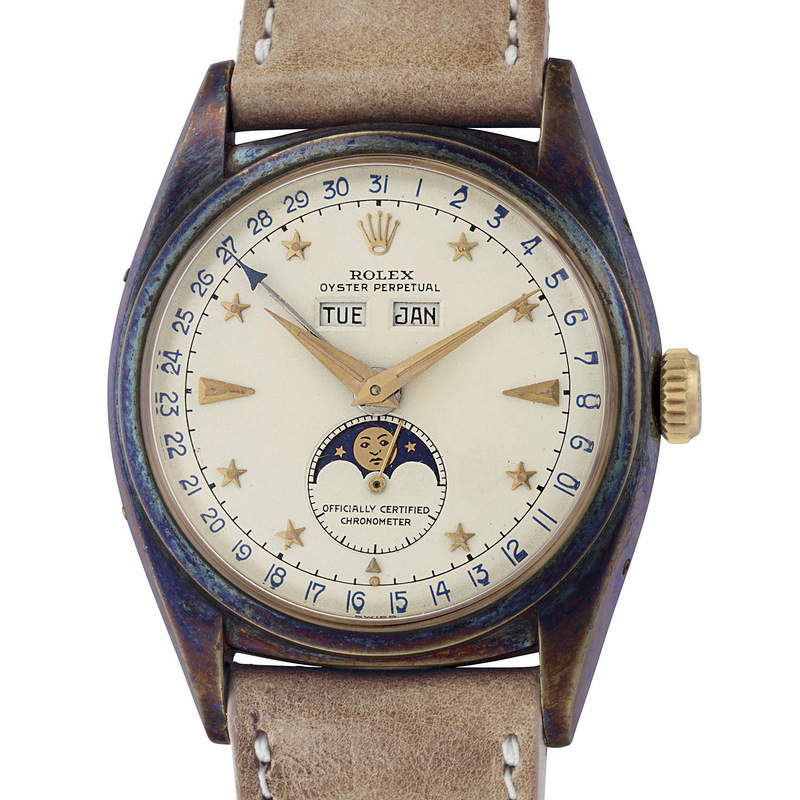 Prior to the record-breaking sale of Paul Newman’s very own Paul Newman Daytona, the most expensive Rolex ever sold at auction was the 6062 “Bao Dai”, a watch originally belonging to Bao Dai, the last Emperor of Vietnam. In May 2017, the “Bao Dai” fetched more than 5 million Swiss Francs. Most has been already said about the extraordinary “Dark Star” with star dial. Apparently, this watch was stored in a sock and spent most of its life in a safe right after its acquisition. Whether the sock had anything to do with the patina can be argued. 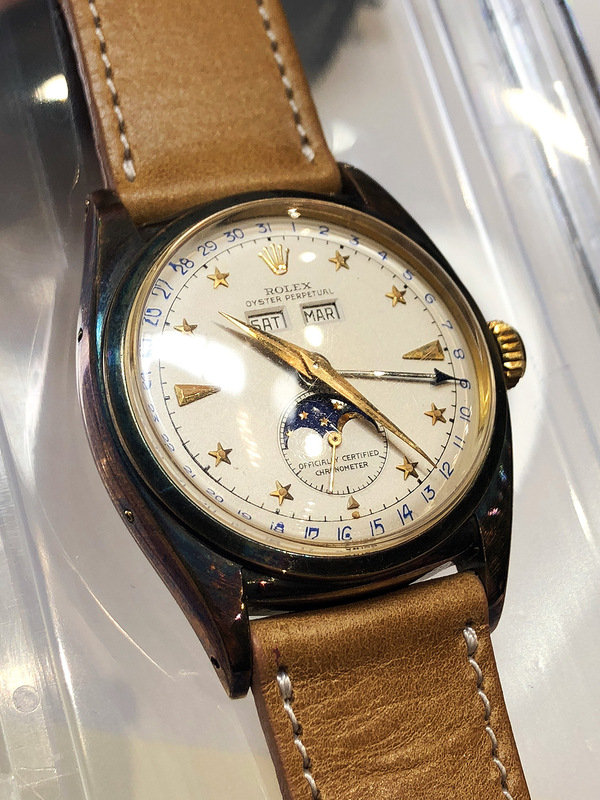 The case appears to be untouched and according to experts, the so-called “Stelline” dial is one of the best preserved out there. 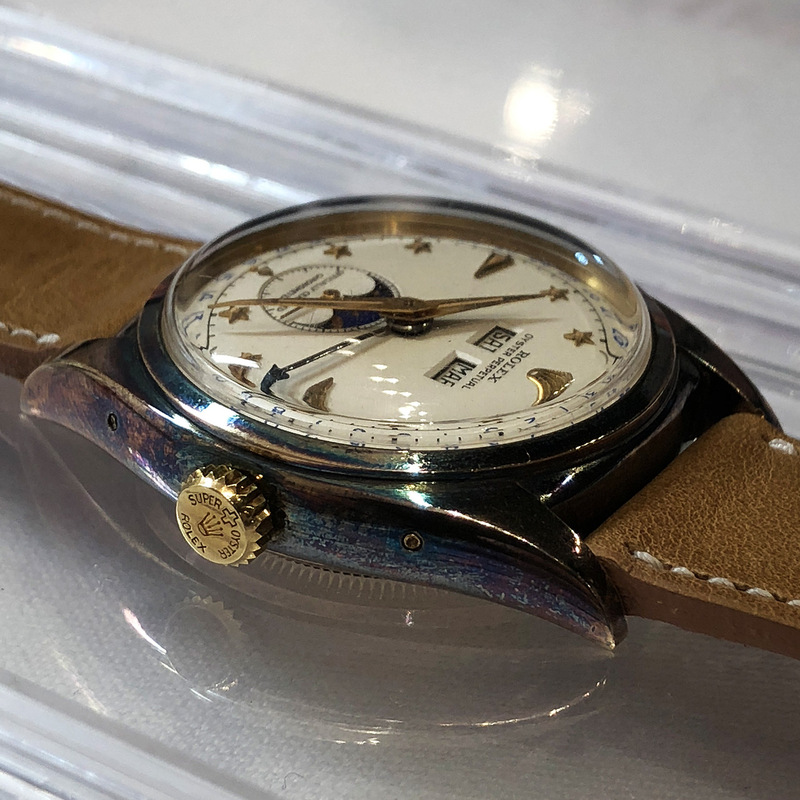 This “Stelline” dial is indeed in great shape, with immaculate prints and razor sharp date windows. The “Dark Star” entered the market in December 2011 when Christie’s – back then under the lead of top auctioneer Mr. Aurel Bacs – auctioned it for the first time. It fetched more than half a million US Dollars. A very large sum for 2011. 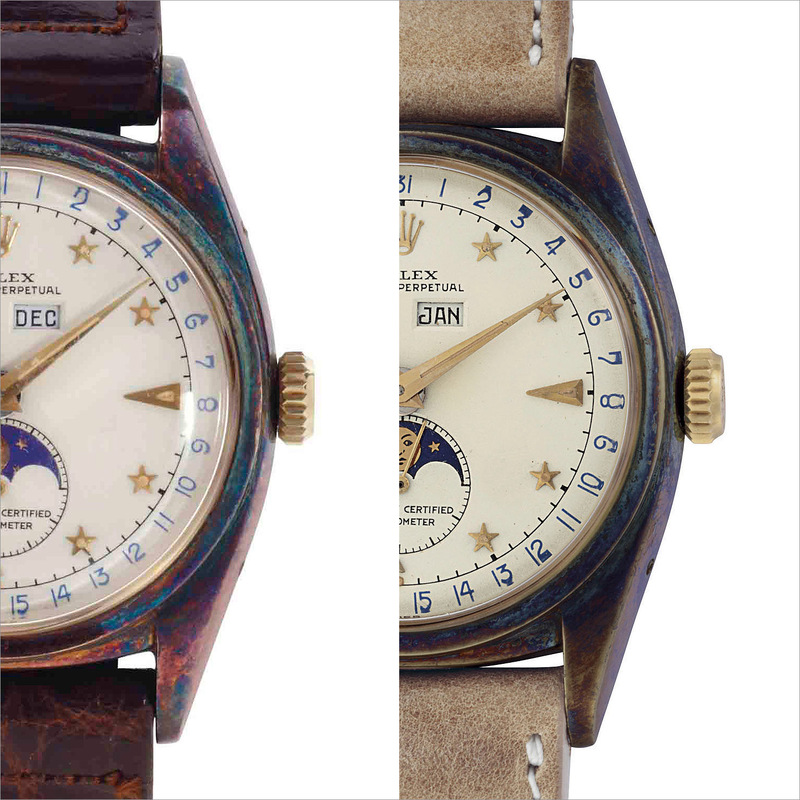 A comparison between the 2011 picture and the current image provided by Christie’s shows the lume appears to have developed further patina in the past 7 years. This is a normal development, as vintage watches naturally never cease to age. 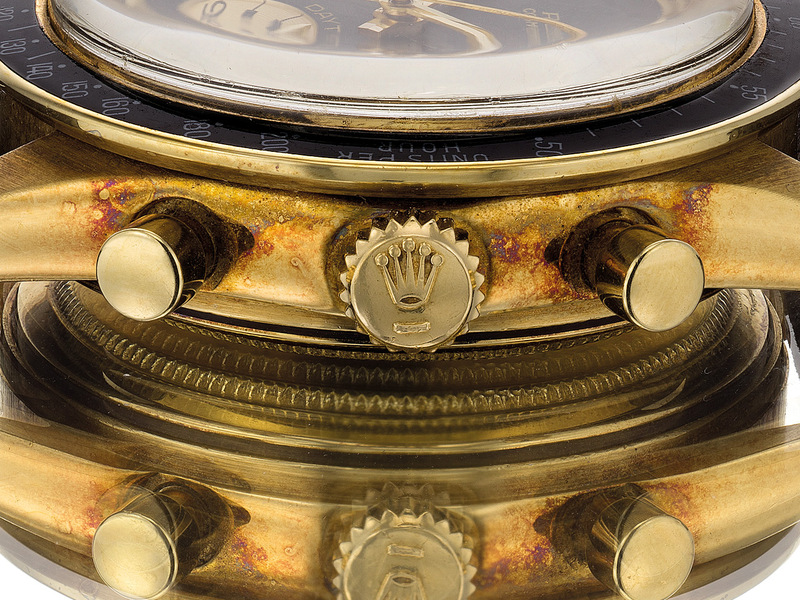 The 2011 image shows some slight wear & tear on the crown, an indication that the watch was also worn and not just stored in a safe. 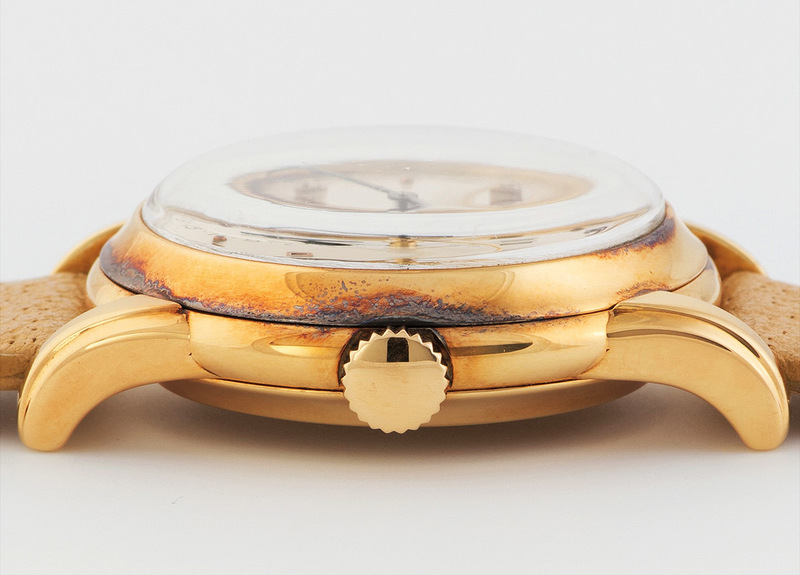 When the watch was found, the case had already developed the amazing patina due to surface oxidation. Interestingly, the magnificent “Rolex Super Oyster” crown was not affected. The answer as to why the crown did not develop the same type of patina like the case may lie in the simple fact these crowns were not made from a single block of gold as the Oyster case. The core of these crowns is made from brass or steel and only a thin outer layer or “jacket” is gold. The thin gold layer can easily be peeled off. 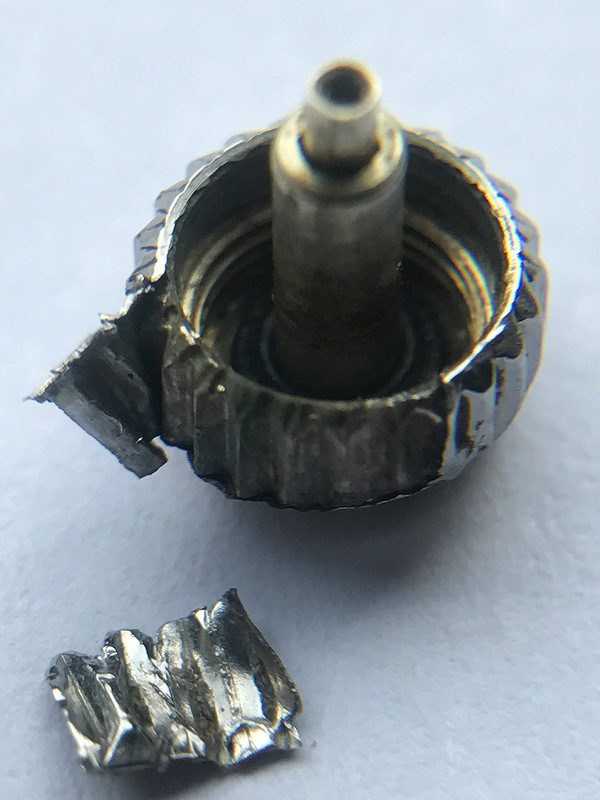 The picture below shows a Rolex Submariner Triplock crown with the very same construction. I was not aware of this watch until Mr. Edmond Sarad teased his article on Instagram. Ever since I saw it, I’ve been obsessed with it. I totally adore the patina of the case. 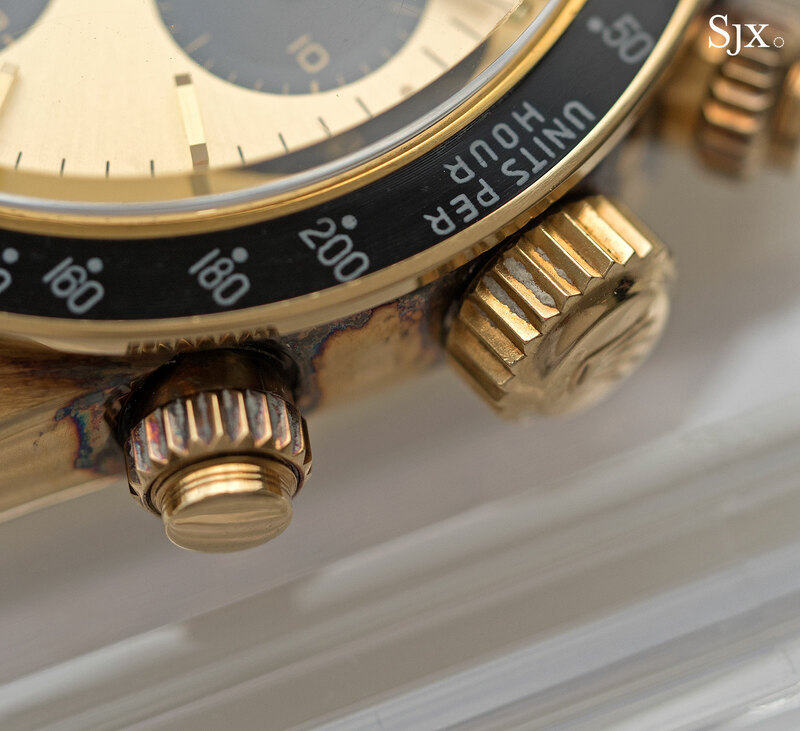 Early stages of this patina can also be found on many other 18 carat gold watches, especially on Rolex Daytona chronographs where it is difficult to clean the case between and around crown and pushers. The following picture shows a Ref. 6241 “John Player Special”. The picture below shows a Ref. 6265 with chronometer dial and 6263 bezel. The oxidation occurs naturally in areas that cannot be easily accessed. The next picture is of a Ref. 6241. A large spectrum of colours is already starting to develop. The very same phenomenon can be observed on Patek Philippe watches as well. The following picture shows a Ref. 2497 with rare Vichet case that will be auctioned by Phillips in NY on Dec. 05, 2018. I would like to conclude this article with an amazing picture shared on Instagram by Stephen Pulvirent from Hodinkee. As you can see, the “Dark Star” can change its looks dramatically, depending on the light. In this image, the fascinating spectrum of colours is fully visible. The “Dark Star” has a starting price of one million US Dollars. I am super excited to see what kind new heights this magical timepiece will reach. Shine “Dark Star”! “Dark Star”, one of the most exquisite watches I got the chance to experience in person. Tomorrow at auction with @christieswatches. Full report on Perezcope.com. Link in bio.